The air taxis are coming—for real. The 2019 CES reveal of Bell’s air taxi concept, formally dubbed the Bell Nexus, betrays an approach that’s both entirely bought in to the idea of high-tech, electric-powered, vertically-flying, mega-multirotors summoned by smartphone app...and patently dismissive of everyone else’s approach to the challenge. For starters, there’s the aircraft’s proposed propulsion system. Rather than being a full-on battery-electric flying machine, the Bell Nexus is a hybrid that uses a single turbine engine to generate electricity for the six motors that each spin massive eight-foot-diameter fans, as well as batteries to power them. This signals a realistic awareness of the current state of battery technology. In short, the company says battery capacity is simply not advancing fast enough to ensure the robust speed, range, and mission frequency to meet the expectations and needs of a nascent air taxi industry expected to be up and running by the middle of the next decade. Nexus has been designed to speed along at 150 mph for up to 150 miles, something it says battery tech alone simply can’t handle. That range isn’t just a bragging right. It’s essential. As one engineer I spoke with recently pointed out, for instance, an aircraft targeting an air taxi service range of just 30 miles per hop would still need more than 150 miles of range, once loitering, flight-plan diversion, and return-to-starting-point demands are factored in. Most urban helipads that air taxis are going to use won’t allow for a bunch of aircraft to be just sitting there charging all day; they’ll need enough onboard reserves to go both to the destination and back, and also to hang around in the air if there’s nasty weather or other trouble at the return destination. Then there’s the configuration. 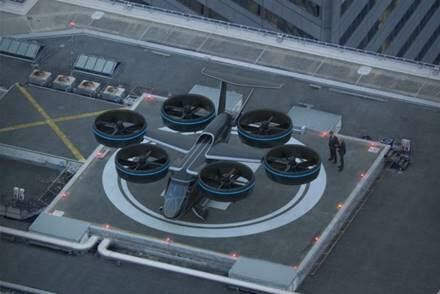 Though outwardly resembling many air taxi concepts—at least to the extent that it uses distributed propulsion via multiple rotors—it’s much larger and more “helicopter-y” than most others, with a cabin that looks suspiciously like a Bell Jet Ranger slung underneath the giant array of ducted-fan rotors. Each of those uses the duct casings to help generate lift in forward flight, in addition to the lift generated by the whirling blades contained therein. It also has a regular wing in the mix, to maximize efficiency and give passengers a fighting chance if all the multiple redundant power backups fail. Other air taxi systems are still focused solely on lift generated by horizontal rotors, with only modest structural lift baked into the equation. In the air taxi world, wings = range, even more so than batteries. Another benefit to the big cabin, which can seat four passengers and one pilot: Confidence. A big bird will feel more substantial and, as a result, safer than a super-compact fuselage that’s limited in size by the demands of range and power conservation. Yet another massive shift from most other air taxi startups: The acceptance of the fact that autonomous flight capabilities likely won’t be ready soon enough. That pilot’s seat in the cabin, the company pointed out during a preview of aircraft last month, will be necessary because the regulatory framework for fully autonomous flight will take many years to sort out, but advanced controls can be integrated sooner. So the pilots of Bell’s Nexus won’t require the same depth and breadth of flight training required by pilots today. Bell is working to develop what could prove to be novel flight control systems concurrently with developing the aircraft itself, explicitly because many more pilots will be needed long before autonomous flight becomes a thing. Finally, there’s the fact that Bell’s team is notably absent any Silicon Valley presence whatsoever. 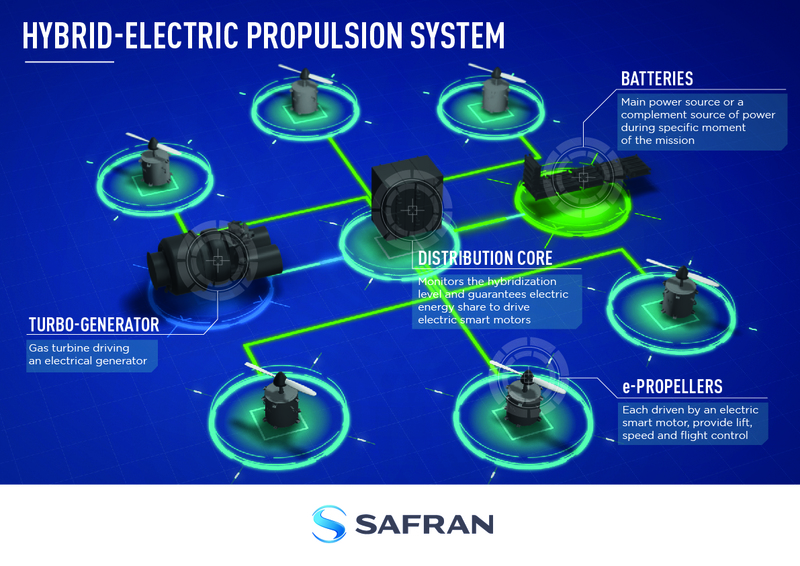 All of its partners—Garmin, Safran, Electric Power Systems, Thales, and Moog—are dedicated aviation companies with decades of experience developing aircraft systems explicitly with manufacturing and government certification and safety in mind. Their systems are robust, reliable, and redundant, not half-baked innovations. So they simply aren’t going to make the same mistakes that aviation-industry noobs will make. This alone should scare the crap out of the world’s air taxi startups—which currently number 135, according to the Vertical Flight Society. Of course, that detail could also end up scaring the crap out of Bell itself. After all, this whole pending air taxi revolution is here because of the Silicon Valley mentality, which can be summed up with the familiar move-fast-and-break-things mantra that—while not necessarily what you’d want to hear from an aircraft company—has fueled so much of the progress we’re witnessing in other industries. Bell, though expressing an admirable mix of innovation and pragmatism with its Nexus strategy, is still very much a legacy aircraft company, founded waaayyyy back in 1935. 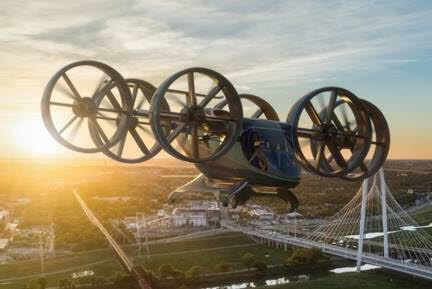 It’ll likely have to shake off more of its old-school modus operandi when it comes to living up to modern mobility expectations and reaching the air taxi starting line with any sort of timeliness. It’s a good bet that Bell won’t take many chances when it comes to aircraft safety, though. That’s one of the things where decades of experience will be precisely what air taxi passengers will want when they whip out their smartphone in the hopes of getting home in six minutes rather than 60.